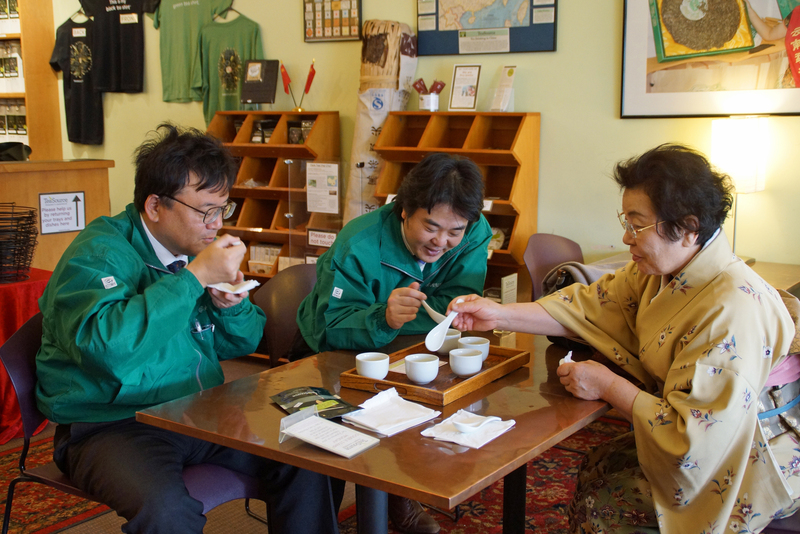 Recently I had the privilege of hosting three guests from the Otsuka Green Tea Co. of Shizuoka, Japan. It was a very short, very fun visit. The best part of my job is people. Make no mistake, I love tea. I’m obsessed with the leaf. I swoon over the liquor. 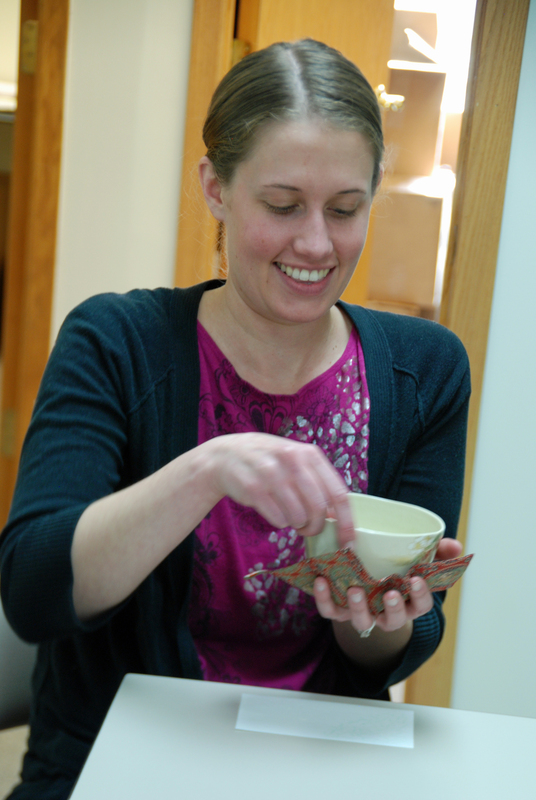 But the best part of what I do is the people; our customers, our suppliers our fellow tea-travelers. The people are amazing, and sometimes I have a day where it feels like I’ve been wandering around the city of Oz. 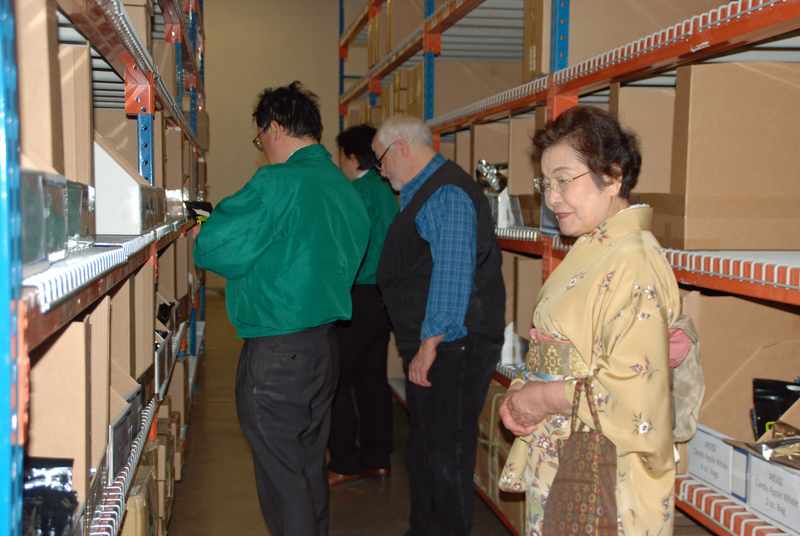 Visiting at our Roseville, MN warehouse/office, was the wife of the Chairman of Otsuka, Mrs. Hiroko Otsuka (a Japanese tea ceremony expert), and 2 other Otsuka employees, Kokei Sugihara, export manager and Haruyuki Nagata, sales manager. 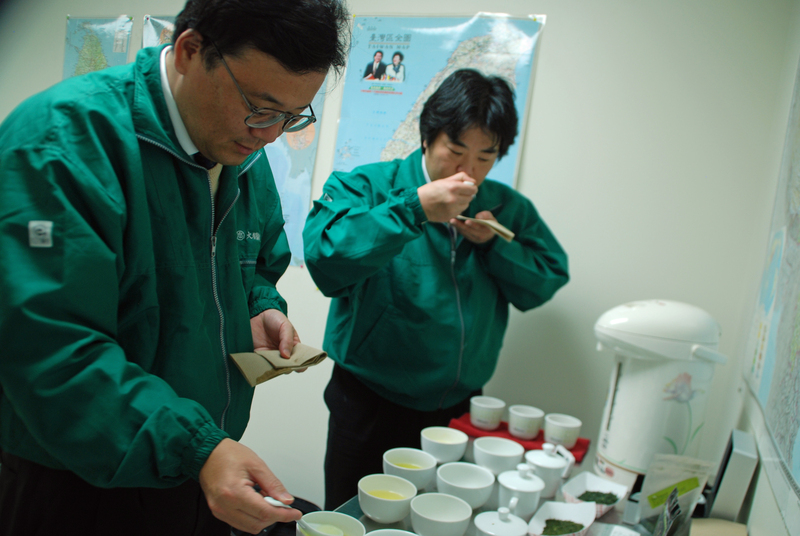 For context, TeaSource green tea Saemadori #50 won 2nd place at the 2014 North American Tea Championship, is from Otsuka Tea. 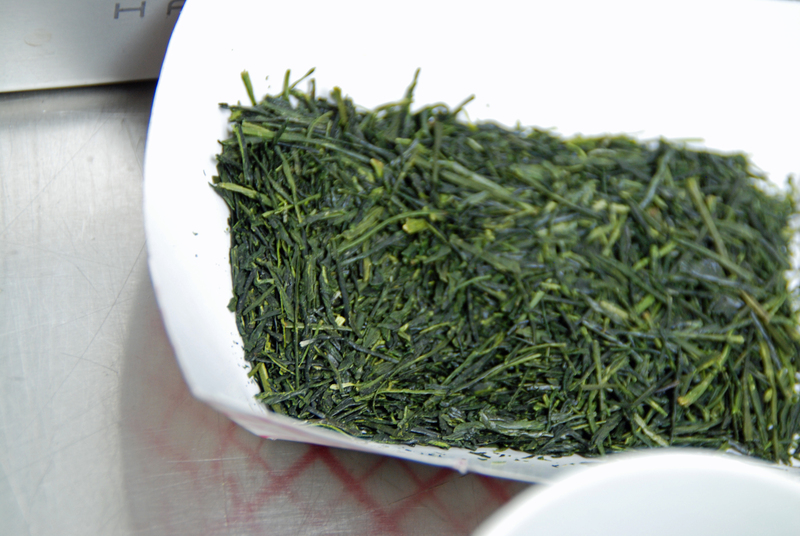 Our Sencha Homare and Sencha #20 are handmade teas from Otsuka Tea. This visit was a chance to build a growing relationship, learn from folks who know more than I do, and party hearty with fellow tea geeks (this involved drinking a lot of tea, and four flights of Minnesota craft-brewed beers). 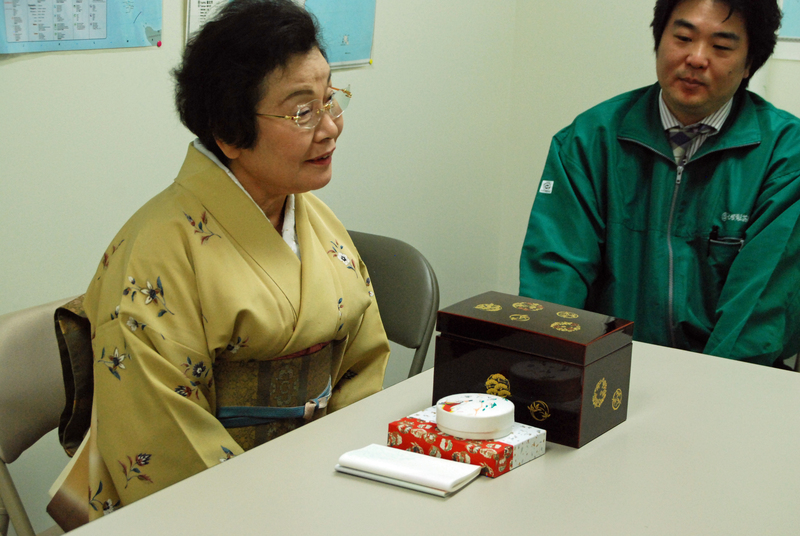 Otsuka Tea Co. was founded in 1869 in Shizuoka, Japan. It’s owned and run by the same family, for five generations now. 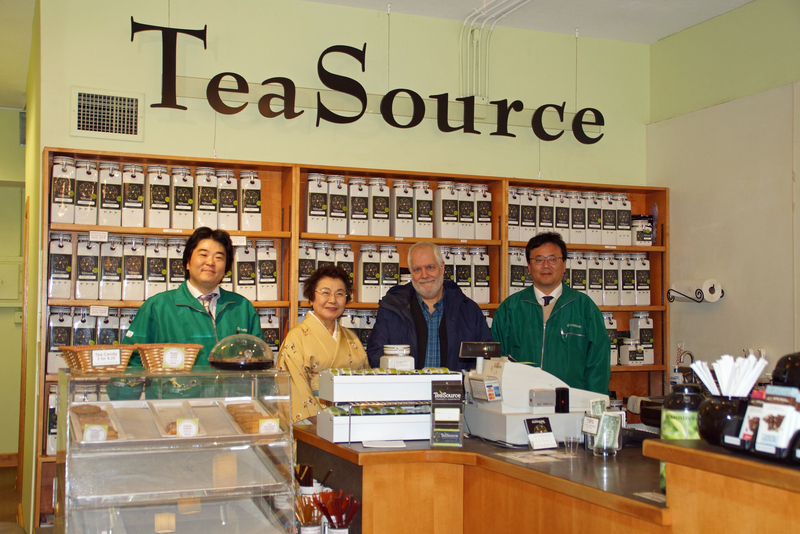 I met these folks two years ago, when I was in Japan looking for tea growers. 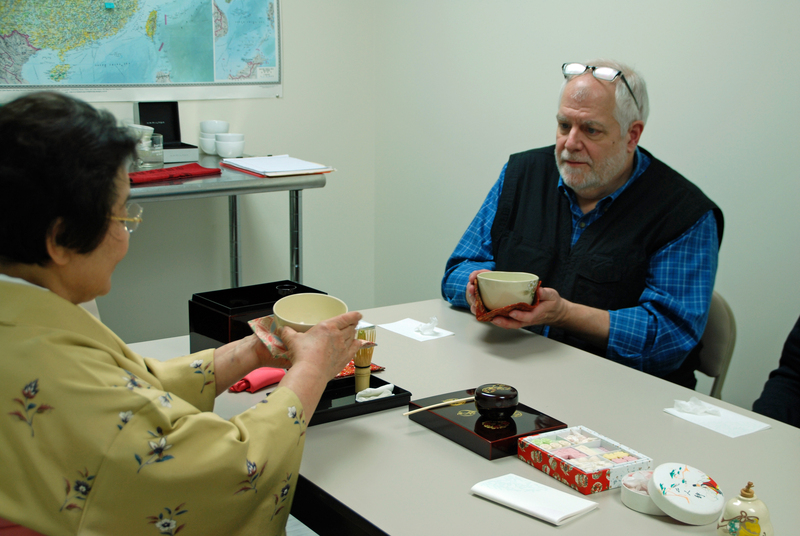 Their teas and their warmth bowled me over from the beginning. 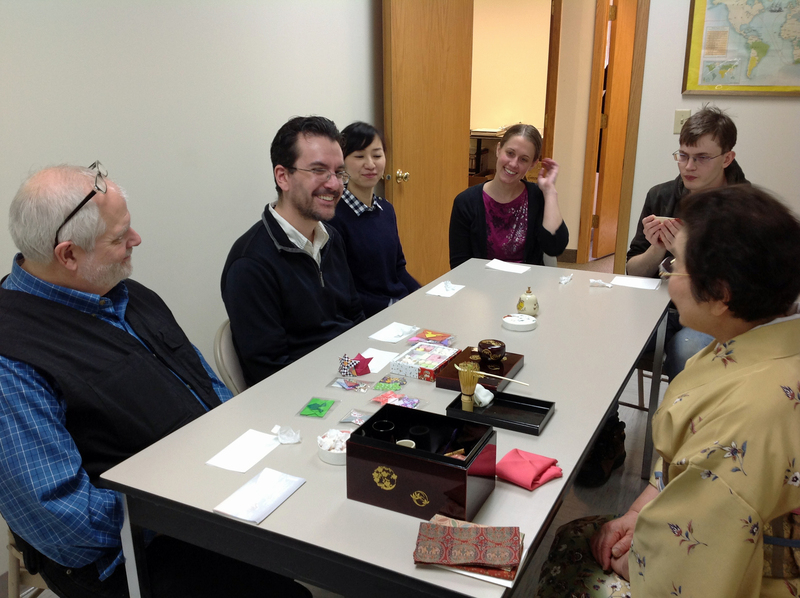 We started off with an exchange of gifts, of course. 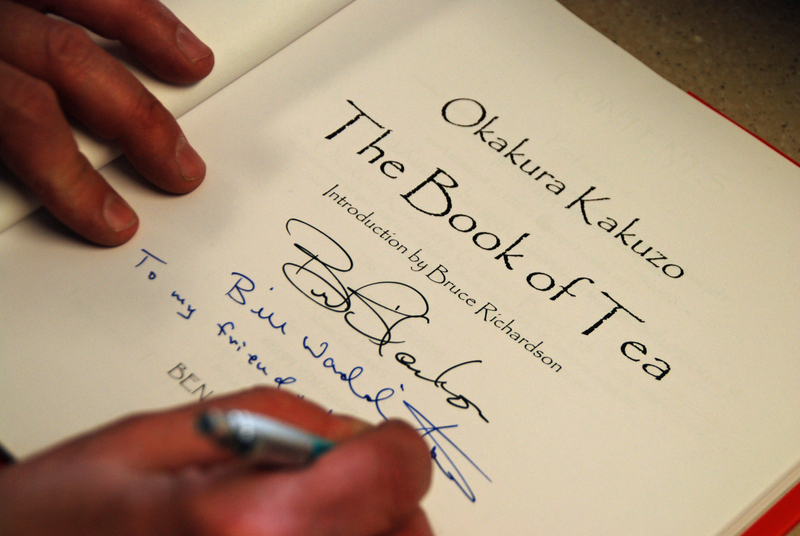 From me to Mrs. Otsuka, a copy of The Book of Tea, Bruce Richardson’s edition with never before seen photos of early 20th century Japanese tea workers. And I received one of the most beautiful ceramic pieces I have ever seen. 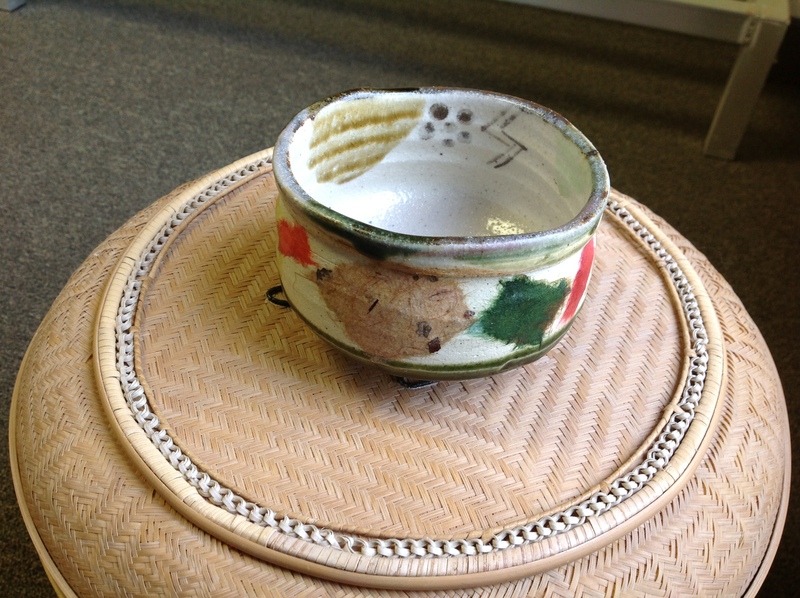 A tea bowl, for use in the Japanese tea ceremony. 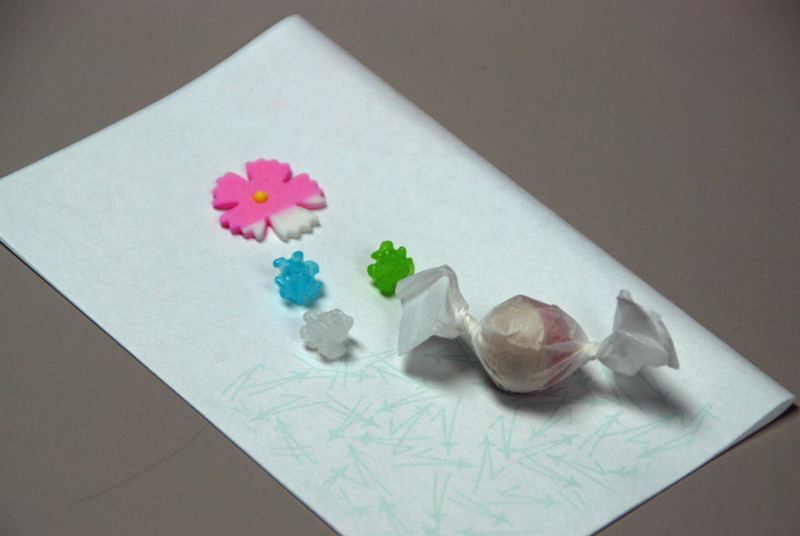 Mrs. Otsuka apologized because it was not very traditional, but kind of modern and edgy. 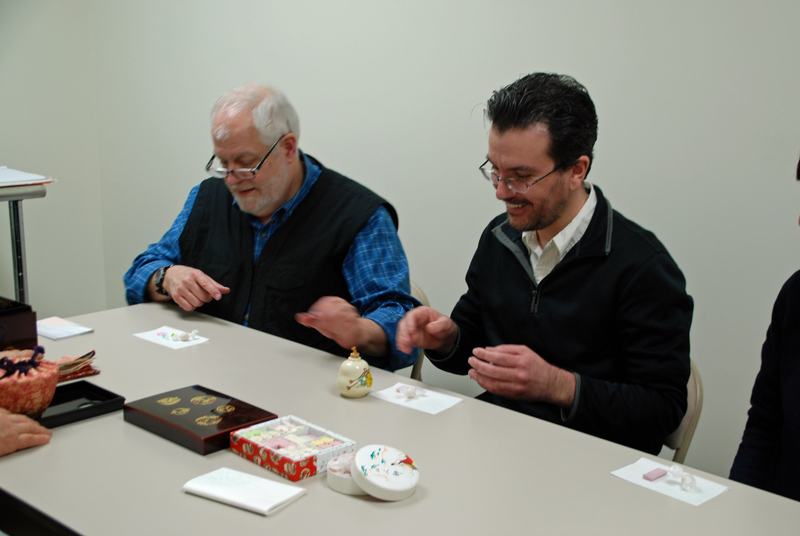 It has hand-made papers infused into the glaze. Next a tour of our new warehouse- I was a little bit like a proud papa. 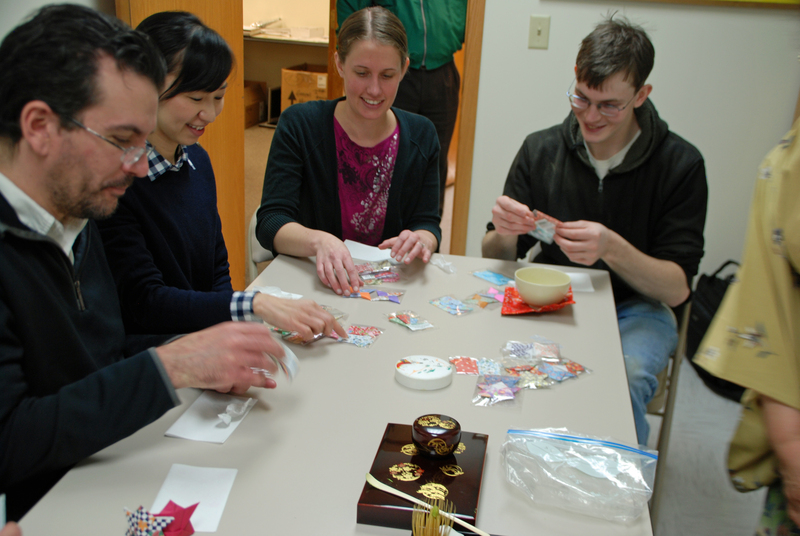 Pictured (right to left): me, Mrs. Otsuka, our own Queen of Wholesale Eri Abrams (who did an amazing job of translating for a day and a half), Mr. Sugihara, and Mr. Nagata. There was a lot of laughing throughout this visit. 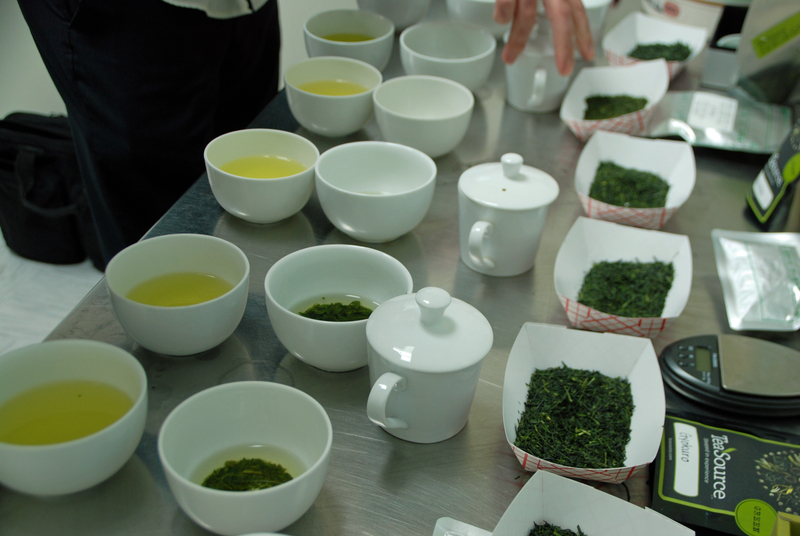 Then it was time to taste teas. 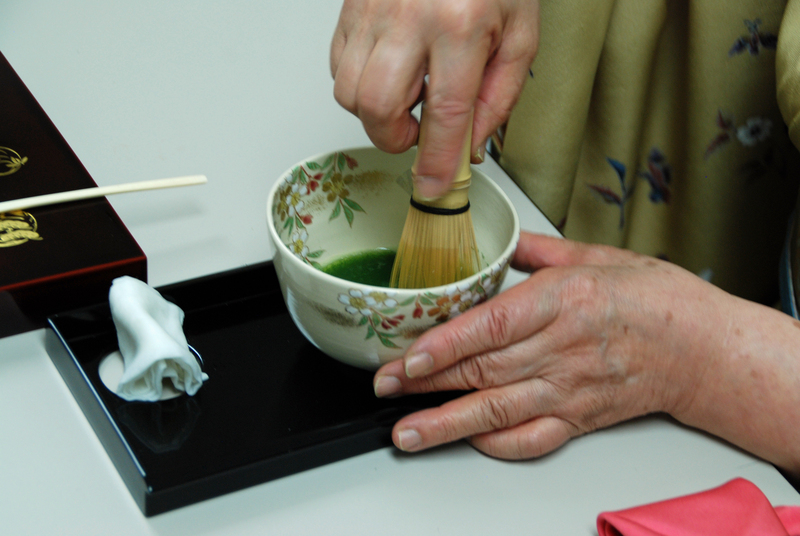 Some amazing and sumptuous green teas from Otsuka. The color of these leaves takes my breath away. 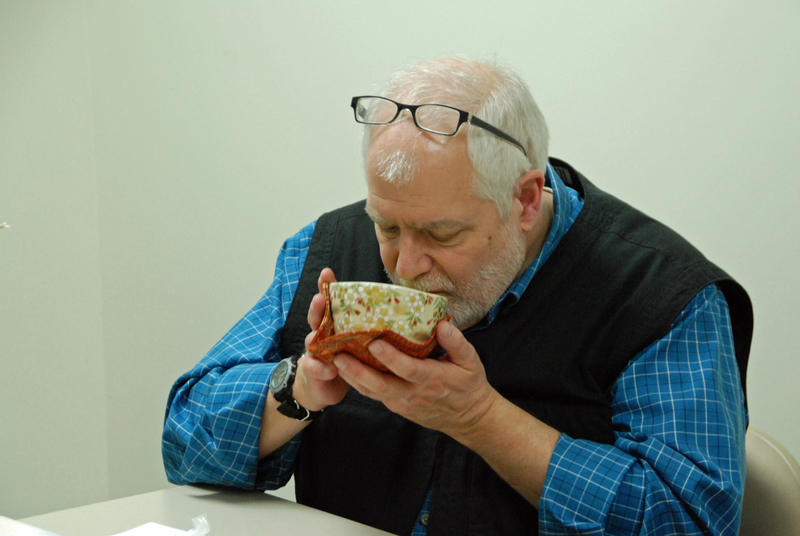 Slurping sounds the same in any language. I really do like their jackets. 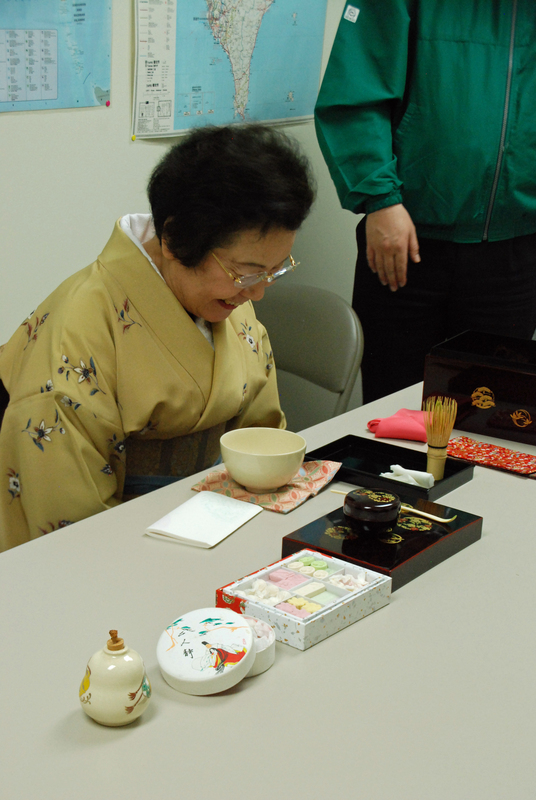 And then the most amazing part of the visit, Mrs. Otsuka serving tea –Japanese tea ceremony style – to myself, and a number of TeaSource employees. 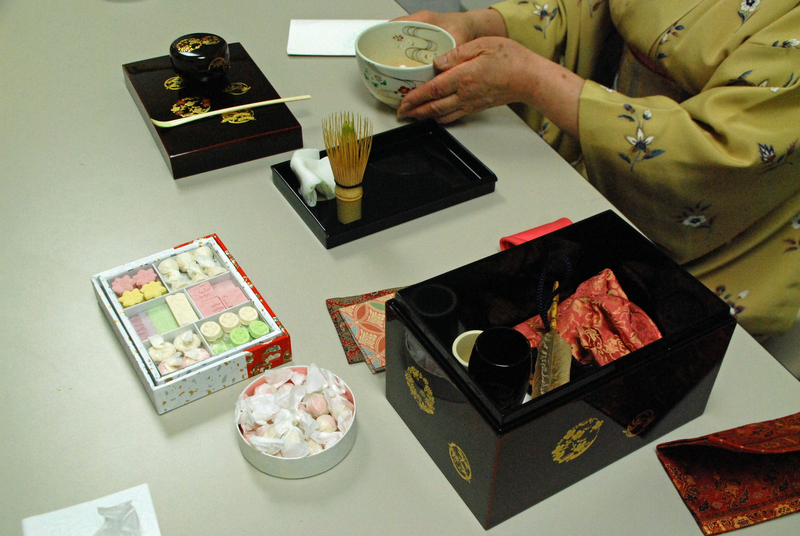 All of us taking some of the traditional sweets that accompany a Japanese tea ceremony. A little like Necco wafers, but a lot better. 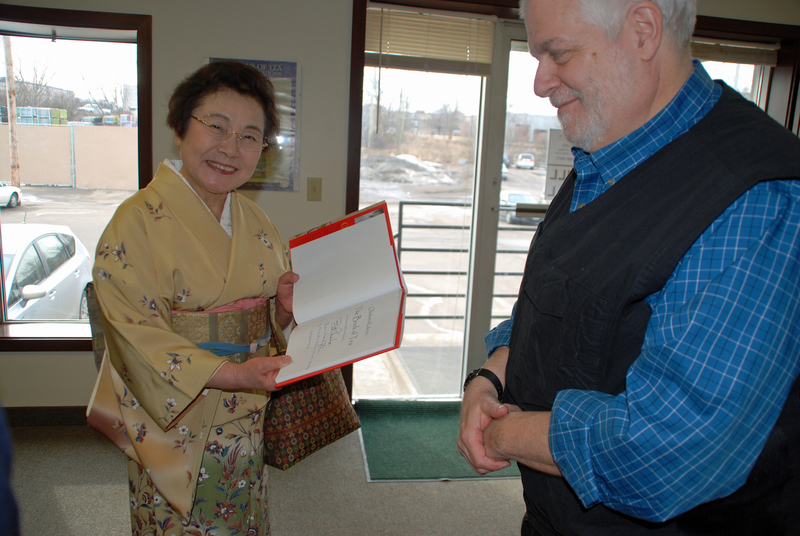 Mrs. Otsuka, ready to begin. 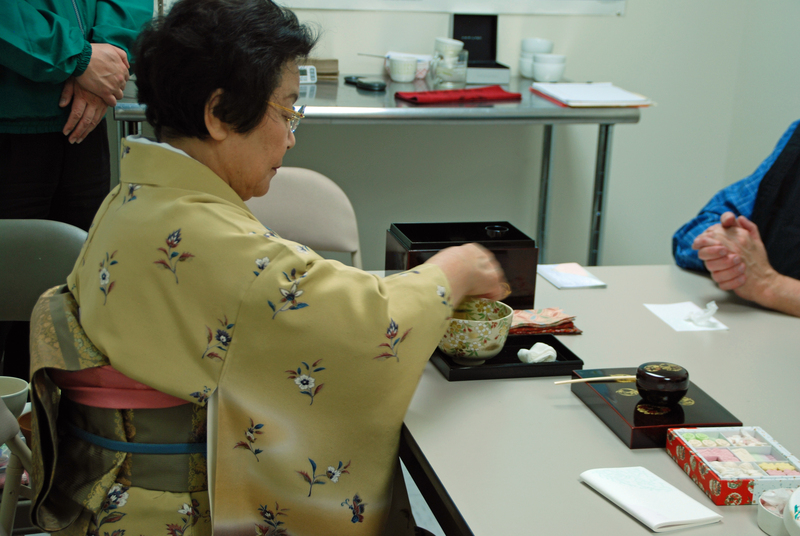 A demonstration of grace and focus, whisking the tea. Keeping her arm very straight, without touching the bottom of the bowl. Me, desperately trying to not spill all over myself. 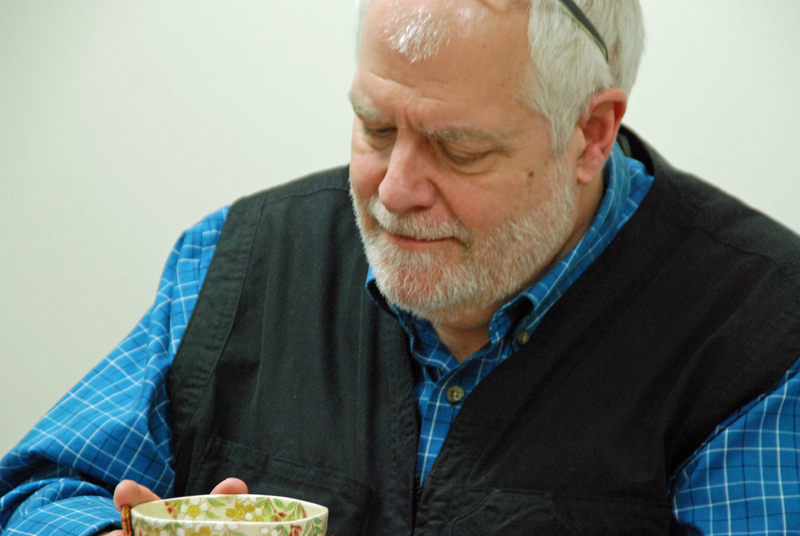 One of the things I most love about tea; it gives you pause. 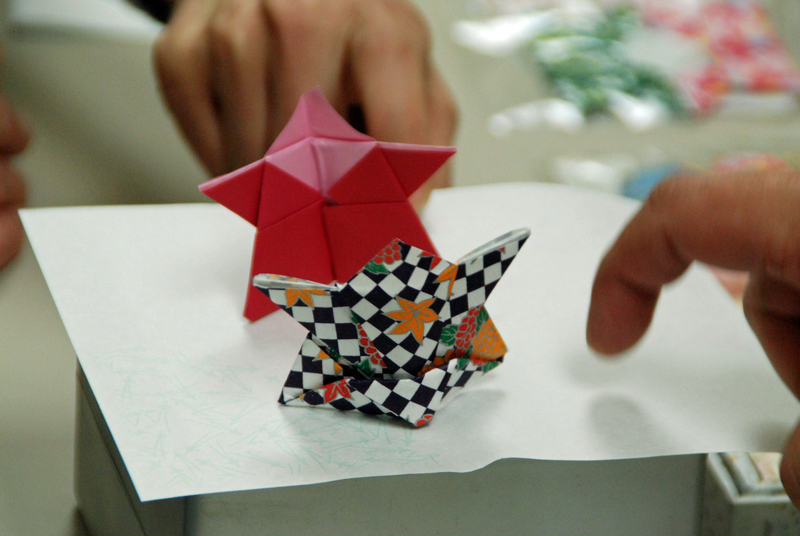 Then Mrs. Otsuka passed out wondrous origami figures that she had made for all of us. It was like opening Christmas presents. Then it was everyone else’s turn to be served tea. Sarah, learning to turn the bowl. Whew, we didn’t embarrass ourselves. Then I took our guests to visit our stores. We finished a long day, with some sight-seeing of the Twin Cities, they LOVED St Paul’s Cathedral, and then steaks at Jax (they also loved that). The whole visit was just a great time, strengthening an already healthy relationship. Wonderful people who make amazing tea. And if you haven’t tried their teas, do yourself a favor. 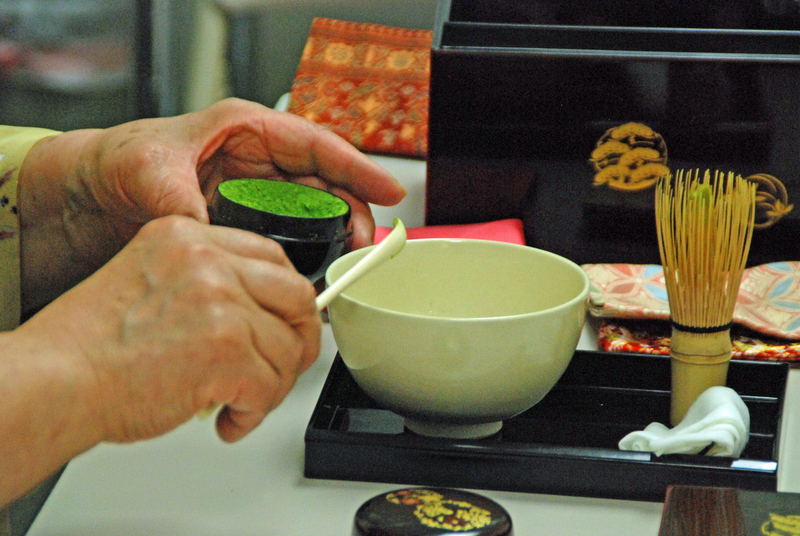 We will follow up this post with another about this Otsuka visit: How to be the recipient of a tea at a Japanese tea ceremony (who knew this was a thing?). Thanks for reading. Comments are very welcome. Wonderful to share your experience. Thank you for relating this visit. This is so refreshing. I so enjoyed this post. The world can be, after all, a wonderful place to live in, when people do it right! 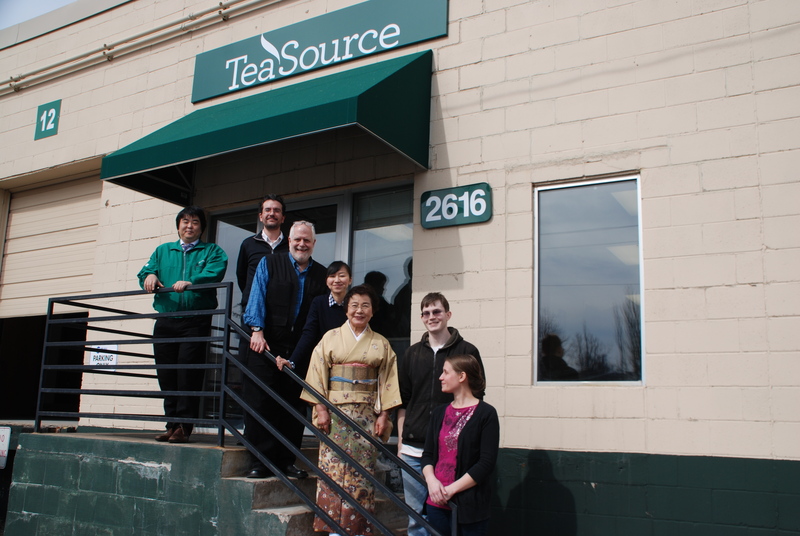 Thanks so much for introducing us to tea culture. Delightful and welcomed. I just tried the Houjicha I ordered recently. Wow! Bam! Flavor! I am impressed. Thanks for making available such a wide variety of teas. Now that I’m not supposed to drink caffeinated beverages (I do cheat a bit), I welcome variety and flavor.